Students experience transportation of yester-year when they ride in an authentic trolley car and learn about how wheels made life easier for early San Joseans. When did a kid’s day begin in the 1800s? Students will have the chance to perform hand-on activities including washing clothes, milking a cow, and practicing writing on slates during lessons in the schoolhouse. A vivid way for kids to make comparisons between the lives of children 100 years ago and their own lives. How did people earn a living and meet their essential needs in early San Jose? Students role-play, taking up occupations of the late 19th and early 20th centuries such as those of print maker, wheelwright, and doctor. A look into the universal issues of discrimination, cultural identity, and policies surrounding immigration. A new field trip that allows students to: (1) step into the shoes of another person through perspective taking activities; (2) discover the challenges and triumphs of REAL people risking everything to start a new life in California, from lands far away and just across the border; (3) and, investigate the commonalities and differences between immigrant groups from the past and today. Grant funds available for this program through the Chinese Historical and Cultural Project. Do your students like to search for clues, ask questions, find evidence, and solve mysteries? If so, History Detectives is the perfect program! 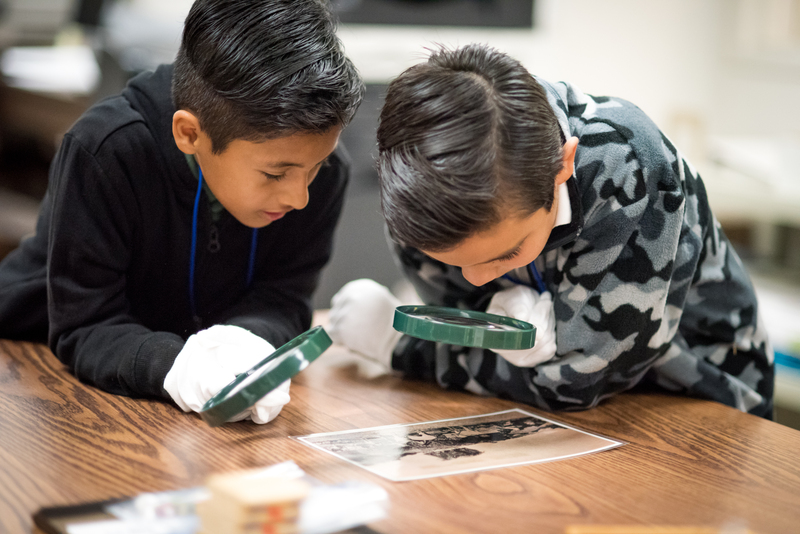 Here, students do “the work” of history by actively investigating clues — primary sources and artifacts — from History San Jose’s collection to discover the past. Also included is a lively, inquiry-based treasure hunt through the vast Collection Center. 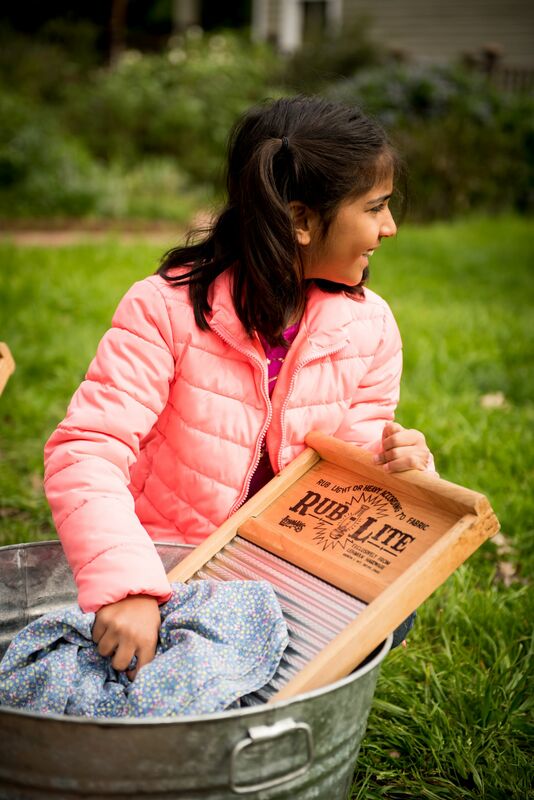 Transport your class to the 1778 El Pueblo de San José de Guadalupe. Students explore the oldest house in San Jose and experience life in Alta California. Following a brief history and tour of the first house in San Jose, students “see, do and taste.” They “see” artifacts and primary sources from early California; they “do” hands-on activities including candle-making and creating corn husk dolls; and they “taste” hand-made tortillas and yerba buena tea. Students step back in time and learn about family and community life in San Jose over 150 years ago. 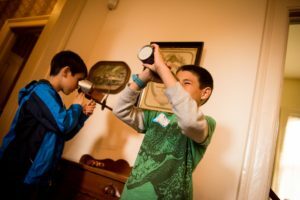 Inside the exquisite old home students investigate and explore the lifestyles of both domestic servants and Fallon family members by dressing up in clothes of the day, playing parlor games, polishing silver and baking scones. The kit contains everything you need to integrate your curriculum while creating your own “Boom Town.” The kit contains gold panning materials, enough for one class. Through the use of photographs, maps, diaries, and other documents, you will be able to tell the story of the California Gold Rush through the eyes and words of those who lived it. Questions? Museum Education staff are happy to answer any questions. Call us on 408.918.1040 or email education@historysanjose.org.